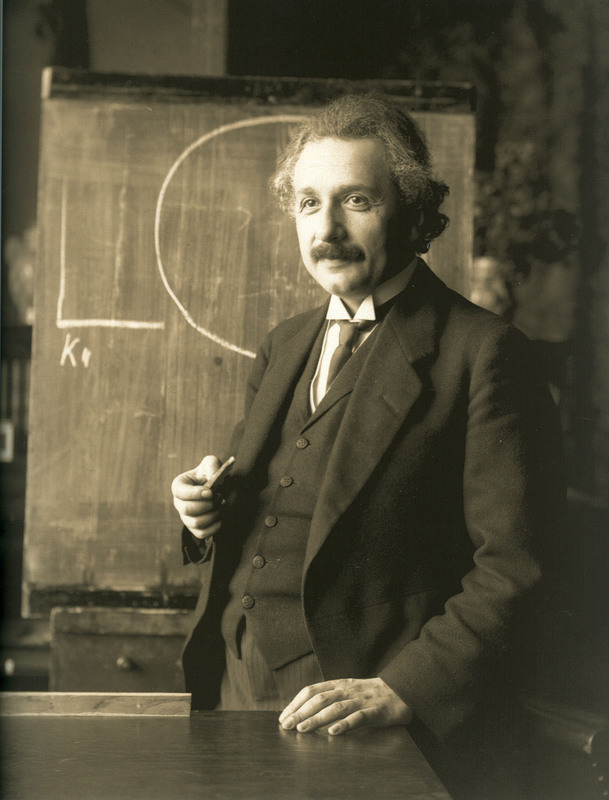 "Einstein 1921 by F Schmutzer - restoration" by Ferdinand Schmutzer - http://www.bhm.ch/de/news_04a.cfm?bid=4&jahr=2006 [dead link], archived copy (image). Licensed under Public Domain via Wikimedia Commons. I've been working with startups since before it was popular. Today, there are startup weekend, workshops, consultants, college classes, a flood of books, Shark Tank and many other TV and radio shows, we've gone from one extreme to the other. Same thing is true of business and management advice, but it's much further along. First MBA was awarded by Harvard in 1912. So how is all this observation and instruction working out? Are we better off today than in 1994 when I started my TV and radio shows about startup, published my little booklet that's still sold on Amazon, and started meeting each week with entrepreneurs and those who wanted to be entrepreneurs? Used to be about a million startups a year in the US, now there are about half that many. The more we are talking about startup, the few startups we are actually getting off the ground. Some say, yes and that's a good thing, those that haven't started would have failed. Businesses with 10 to 100 employees have suffered a dramatic drop, too. If we just have more business that don't fail, seems to me this number would not have had as sharp a drop. Other factors enter into this statistic, but I believe fewer startups is at lease part of the problem. So what is to be done? I'd like to see a return to people thinking hard on their own about what they are doing. Few teach that any more. Now the big virtue is listening. Edmund Phelps, the Nobel Prize winning economist in his newest book Mass Flourishing sees productivity world wide taking a dramatic fall. Scroll down here or search on this site for his name and you can see the interviews I've done with him. Phelps sees that we've lost our sense of adventuresomeness, the strong desire to blaze a new trail, to set off in a different direction. Looking back, maybe Athens was having a similar problem when Socrates started asking his questions. Do you suppose his purpose might not have been so much to get to the truth as to start a fire under the young men he was questioning? Maybe it's time for at least a few of us to do the same. If so, what's needed is not all the motivational, positive thinking talks and seminars that we are flooded with, not all the how to do it books and classes, but more people asking in a kind, helpful way, why do you think that? How do you know? What are you doing with your life? The problem is we've all become domesticated, like the cow chewing his cud contentedly, happy to just give milk, to eat, to live out the days contented. Men have become as domesticated as women have been for centuries. Instead of liberating women what the women's movement seems to have done is domesticated men so they are equally miserable. Maybe it's time to just do it! If so, there is no time to wait. This life is very short, let's get started!